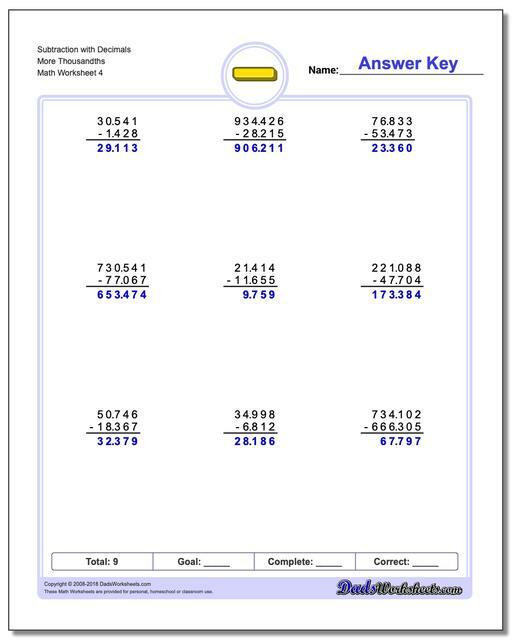 While mechanically, subtraction with decimal arguments is no different than other multiple digit subtraction problems, they do introduce another wrinkle to this already challenging math operation. These worksheets introduce various types of subtraction problems with decimals, including tenths, hundredths and thousandths problems. 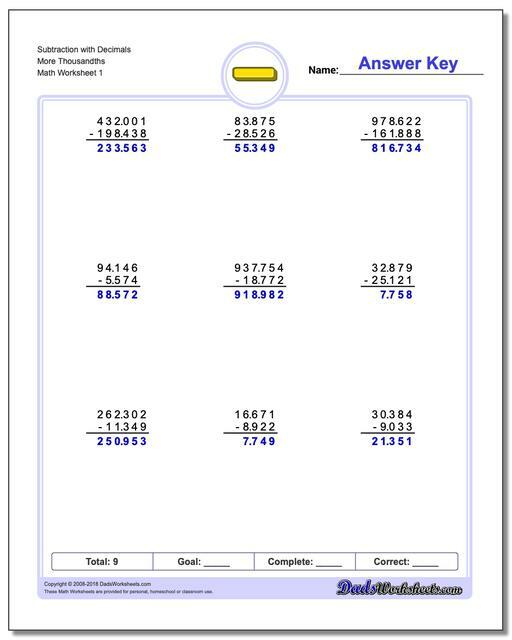 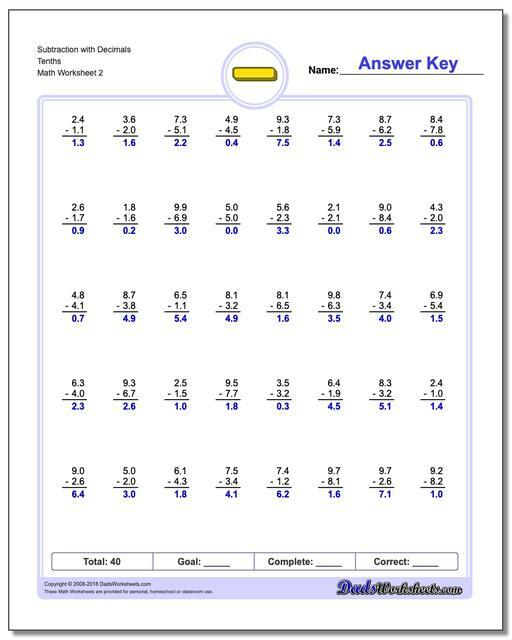 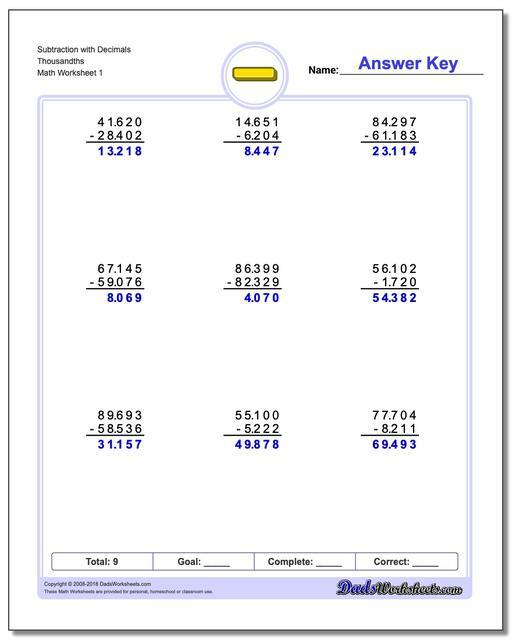 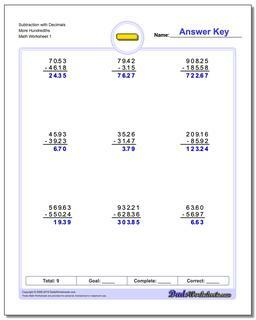 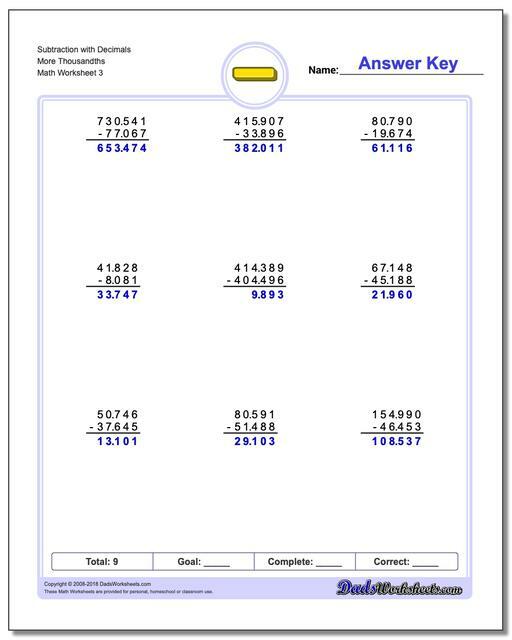 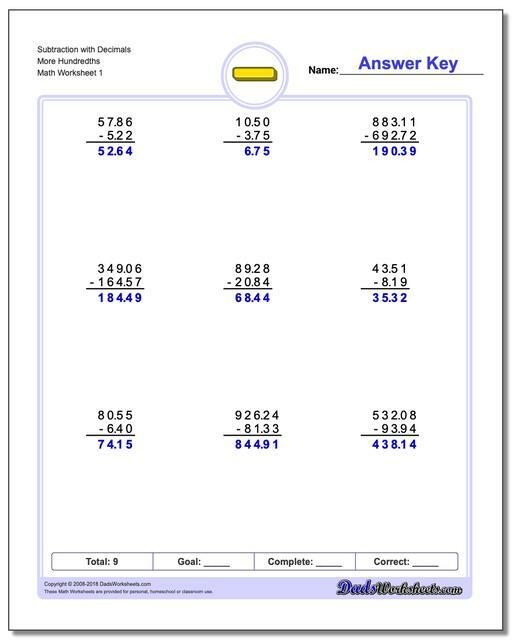 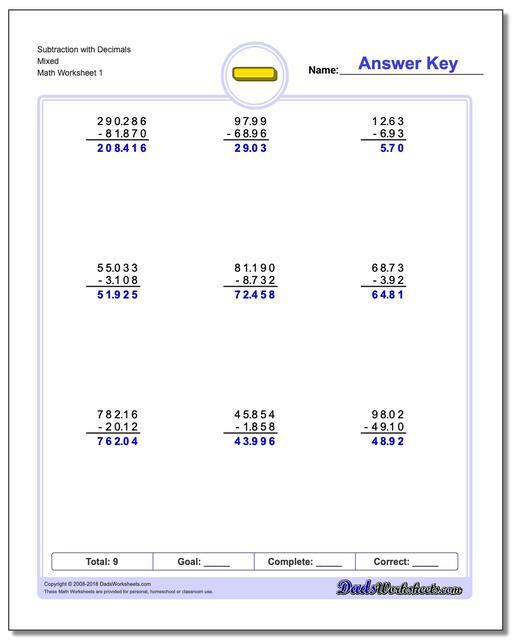 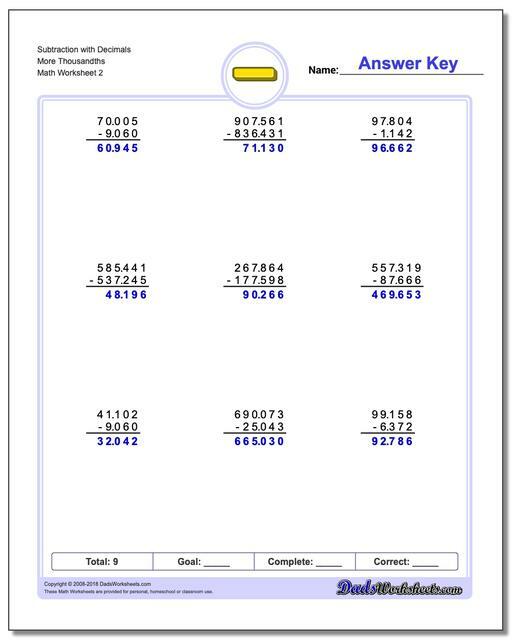 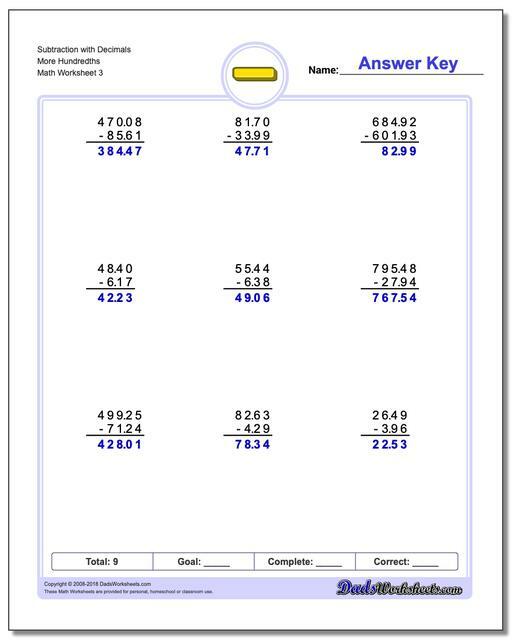 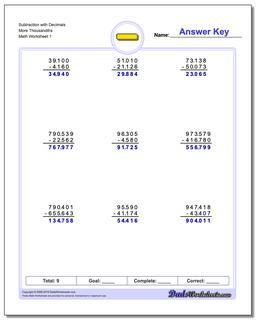 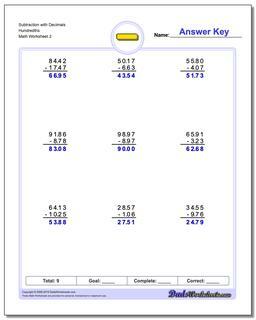 The hundredths subtraction problems are well suited for practice with subtracting monetary amounts.The final set of worksheets includes a mixture of problems with different place valued arguments. In addition to being great decimal subtraction problem practice, these worksheets can also provide more practice for basic multiple digit subtraction as well.